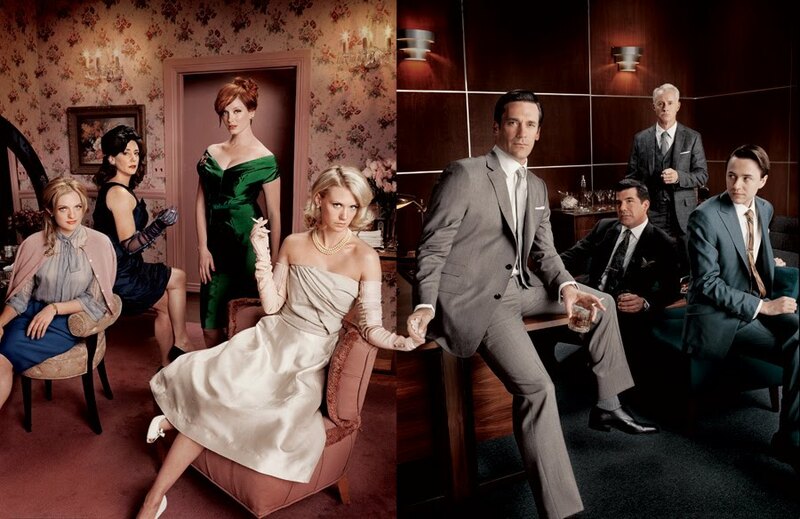 Ok, I know every vintage fashionista on the planet has latched onto Mad Men by now, but can you blame us? The amazing wardrobes alone are more than enough to keep me interested. Then you throw in the dashing leading character, Don Draper, great dialogue and a historically rich plot and I'm hooked! Unfortunately, I am way too cheap to buy cable, so I have to languish in the darkness for a few more months until Season 4 comes out on video. . . I need you Don Draper! Meanwhile, I am trying my hardest not to read about the first episode on-line, and if I hear people discussing it I will act like a spoiled child and put my fingers in my ears. But, I can look at photos. . .
*I'm usually more of a Joan than a Bette, fashion-wise, but check out this killer blue lace number!